Not too long ago, my mom and I went on a virtual shopping spree at Luxasia Prestige Cosmetics' International Press Shopping Day. She got two of my requests and surprised me with 2 more items that proved to me yet again that my mom knows me too well. My first (and only) request was the Shiseido Power Infusing Duo (Php 6499). After 3 empties of the Ultimune Power Infusing Concentrate, I just know that I can't quite live without it. Since I'm on an Ultimune high, I thought I'd also try the Ultimune Eye. I've been layering this under the Algenist Complete Eye Renewal Balm and I'm seeing fairly good results. My crow's feet are still there but friends have noticed that my eye area looks more hydrated and well-rested these days. I went a bit cray on the whole matte lipstick craze and clearly, it's taken a mad toll on my lips. During video calls, my mom always calls me out on this (like there's no tomorrow). 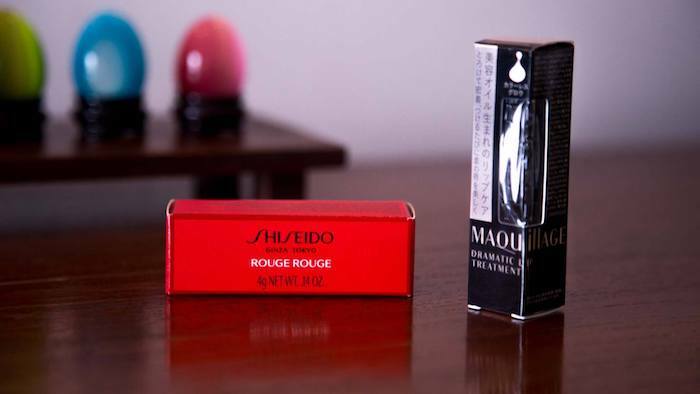 When I unboxed my stash, I snickered upon seeing these Shiseido lip products. The white, balm-like product is in fact a very luxurious lip balm. The Maquillage Dramatic Lip Treatment (Php 1100) can be used round the clock. 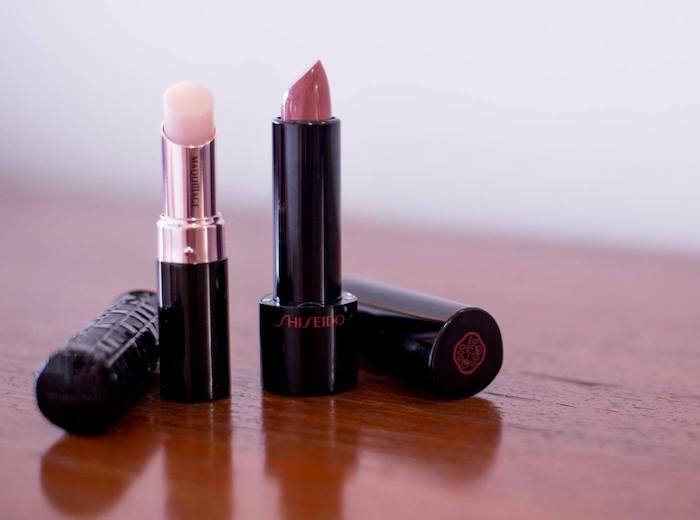 During the day, it can help prevent your lips from breaking and bleeding even with the driest lipsticks imaginable. At night, it gives ample moisture to repair the lips making it soft and plump. The best part? It's absorbed really fast and there's no waxy nor white residue. I found it's best complemented by Shiseido Rouge Rouge (Php 1495). The shade above is from the AW16 release called RD714. Used as a standalone lip colour, this Rouge Rouge shade is 10/10 in my books. It's no surprise since I've never tried a dud from this range. Ever.